Immediate payment of C $83.99 is required. too small for adult cat, good for kitten it is very nicely build tho, very flawless. Very sturdy. My cat loves it. She plays, scratches and sleeps in it all the time. Shipping was super fast too, arrived within 2 days. Thank you! 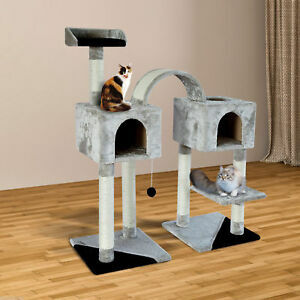 I thought the price was amazing for this cat tree it was more than half the price the stores sell it for!